As the Boston Marathon bombing continues to dominate the news, several characteristic responses to terrorism are becoming obvious once again. To begin with, reports of terrorist acts in America have become like the throwing of a mental switch that stops people from thinking. Emotion is high and critical thought is rare in the midst of the initial media frenzy. Propaganda has made it easy for people to fear and hate while forgetting facts about the government’s role in terrorism and its tendency to benefit from terrorist acts. Additionally, the Boston incident has shown again how official accounts of terrorist events tend to change dramatically as time passes. The Boston story began to change quickly, however. For example, just days after the bombing, the mother of the two suspects made some startling remarks about her son’s relationship to the FBI. “He (Tamerlan) was ‘controlled’ by the FBI, like, for three to five years,” she said, “They knew what my son was doing. How could this happen?…They were controlling every step of him, and they are telling today that this is a terrorist attack,” she added. Although surprising, these claims agree with facts known about FBI-sponsored terrorist acts that have played out in the last decade. In 2011, journalist Glenn Greenwald reported that the cases in which the FBI had supposedly stopped terrorist plots were actually instances of the FBI itself plotting the terrorist acts and entrapping the young suspects. The 1993 WTC bombing was also a case of suspicious FBI activities gone wrong. As the New York Times reported, it was clear that the FBI was somehow involved in the WTC plot. In the years leading up to 9/11, the FBI failed miserably at preventing terrorism when preventing terrorism was the FBI’s primary goal. Moreover, the actions of FBI management suggest that it was facilitating and covering-up acts of terrorism. When 9/11 happened, some agents accused their own agency of being responsible. Therefore it is not surprising that the mother of the Boston bombers, who declared that the Bureau had been controlling her son, was labeled as a terrorist suspect just a week after her accusations against the FBI. Supposedly, the CIA had put her name in its terrorism database months before her sons’ actions in Boston. This was followed up more recently by vague claims from “U.S. 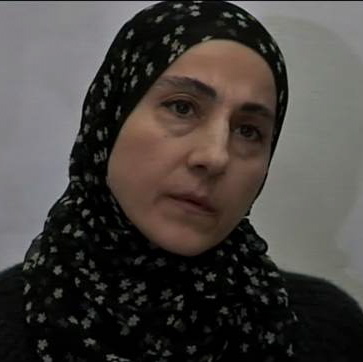 officials” that the mother was recorded by Russian authorities speaking to her son about “the idea of jihad.” Although these late claims appear to be a matter of the government declaring an unwanted witness to be untrustworthy, the growing myth of the Boston bombing raises a number of interesting questions. What could the mother have possibly gained from offering up her two sons as fodder for the terrorism-industrial complex? Why didn’t the FBI and CIA immediately report that the mother was a terrorism suspect, instead of waiting two weeks and saying something only after the mother had publicly made accusations against the FBI? Why haven’t the mother’s claims with regard to the FBI controlling her sons been investigated by independent reporters in the U.S. mainstream media? How does this case relate to reports that the “underwear bomber” was working for the CIA? Will the media follow-up on the recent revelations that the Boston suspects were related to a top CIA official? The U.S. government has fostered and benefited from a fear of terrorism since 9/11. Realizing this, citizens would do well to remember how quickly their freedoms can be lost in the uproar over even a single, relatively low impact terrorist incident. The Boston Marathon bombing has reminded us that freedom comes at the price of eternal vigilance. Of course, it doesn’t hurt to have the ability to control one’s emotional responses and temper the reactions of others. When the next attack occurs, and as the official account of this incident evolves, people should watch for similarities with the accounts of other terrorist events and question everything they are being told. 7 Responses to Another FBI-facilitated attack? Not just FBI. Sibel Edmonds and Daniel Hopsicker both report deepstate connection between suspects Uncle Ruslan Tsarni and CIA . That Uncle Ruslan is the ex son-in-law of Graham FULLER, identified by Ms Edmonds as CIA GLADIO operator throughout Eurasia for decades. She is stating flat out, this attack is to do with Chechnya, Russia and SYRIA. Mr. Hopsicker identifies ex son-in-law Ruslan with USAID and Halliburton having actually lived in Fullers house using his address.